While you are traveling you might not be the most glamorous girl around. As long as you’re not one of those five star all inclusive types that is. But if you travel like we do there aren’t really any space or any need of an excessively large make up bag. Traveling as a nomad is more about the basics. I have gathered a list of my my tips on how to travel light as a girl but still being able to feel pretty. We have been out traveling for a year now ( March 14th) and although we haven’t lived luxurious at all I never felt like I had the time, the money or the need to do makeup or do an up do every day. But I have some basic things I carry around for the days when I want to feel a little extra pretty or it is time to stand in front of the camera. 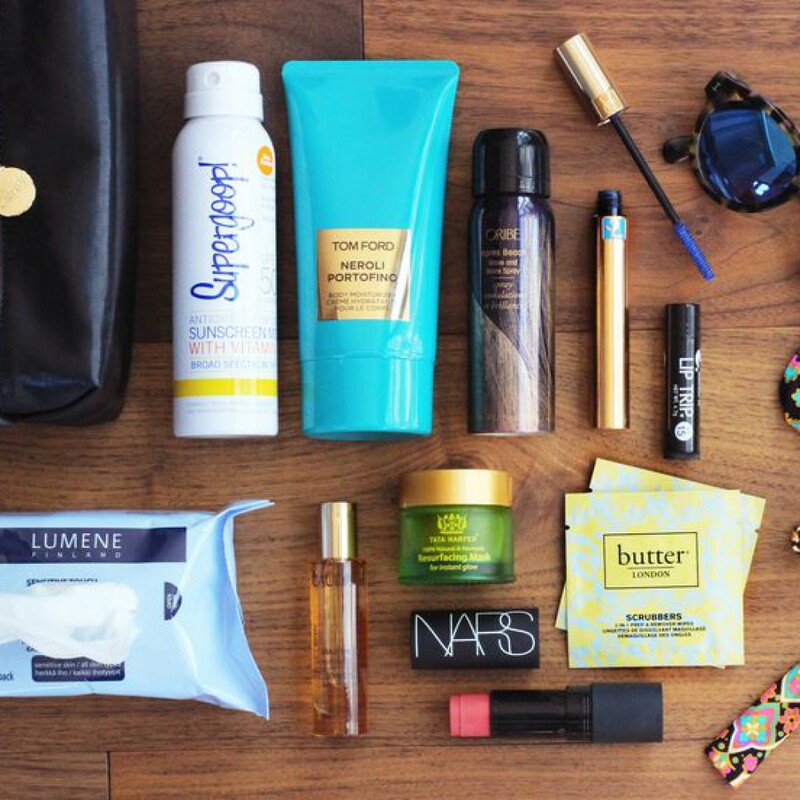 So here are my tips for a travel make up bag. Heavy foundation and a lot of powder won’t really do you any good. In humid climate like Asia you will only clog pores and your foundation would come off in about five minutes. Maybe less. Use a tinted moisturizer or BB cream if you feel the need to dress up a bit. A good quality sun powder or contouring powder can get you a long way. Using it alone without the BB cream is even better as it would give you a natural sun kissed look in a second when you are on the go. Invest in a good quality mascara if you are a person that likes to use one. I prefer to travel au natural without mascara. Especially on the road as the journeys are long and mascara that has been on for to long can make your eyes itch. If you like lipgloss then you are all set. A lipgloss can lift your mood (not to mention your look) in two seconds. If you don’t like makeup on your face, a lipgloss could be your perfect travel companion. Well, traveling is a choice and most of the time ( if you are a nomad and not a two weeks vacationer) you won’t feel the need to do any makeup at all. Most of us travel really light. But most of us still wants to feel pretty from time to time. It is all about how you feel. We want to go see an Ocelot!